Today we have a very special tape for you. Ads Antalik gives us his first full project "The Brightside"; a sunny place for shady people. Not only is he giving us a full tape but he also has a video for the title track featuring Jon Quest; directed and edited by ANtuKS. Check out the tape on Sound Cloud and HotNewHipHop. 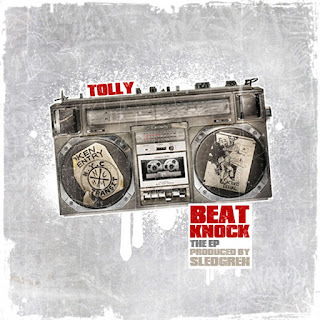 Tolly and Sledgren have an instant chemistry together on tracks. After releasing the single "M.C.K." 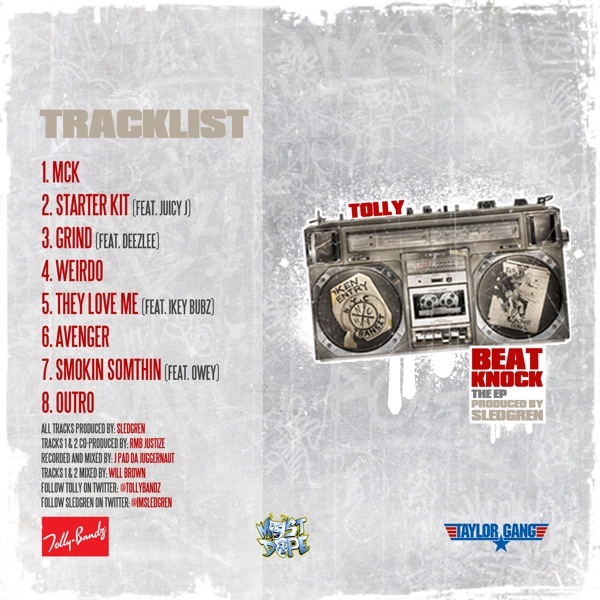 it was clear that the fans wanted more so the rapper and the Taylor Gang producer linked up to bring you the Beat Knock EP, an 8 track collaborative project. 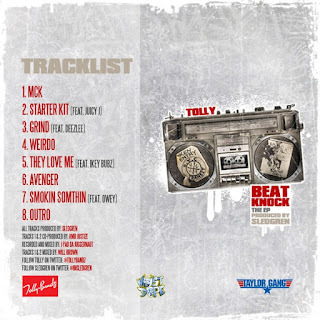 Beat Knock features the likes of Three 6 Mafia and Taylor Gang's own Juicy J, Owey, Deezlee, and Ikey Bubz all over banging Sledgren production, which is surely set to be the soundtrack to the summer. Follow Tolly and Sledgren on Twitter @TOLLYBANDZ @ImSledgren. 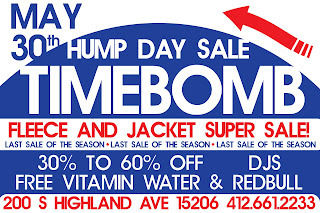 This Wednesday, May 30th, we will be having a hump day sale! This will be the last sale of the season and we're having incredible deals on our fleece and jackets. 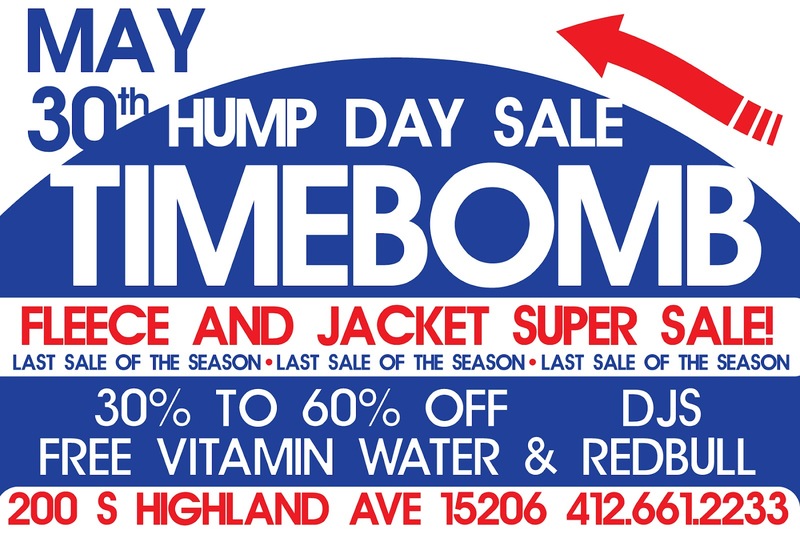 30% to 60% off along with DJs, free vitamin water and redbull; can't beat steals like that! Mayo aka BiPolar Billy aka Yung Jheri gives us a little freestyle above the city. Shot by Ben Fredette. If you were at Altar Bar last night then you already know the show was crazy; if you're one of the unfortunate few that couldn't make it I'll try to recap it a little. The first opening act I catch was Crystal Seth. He went on pretty early and the crowd wasn't very attentive BUT as his set went on the crowd started to feel it. Seth did a good job of setting the mood for Beedie whom was up next. If you've ever seen Beedie and Jon Quest perform live you know they have amazing energy and stage presence and yesterday was no different. They immediately drew the crowd in and got it live as hell. The B. White and Mayo took the stage half way through Beedie's set and really turnt it up. It's gonna be hard to explain just how dope Action was on stage. I really wasn't sure how he was gonna be live; he's 300+ and doesn't have a hype man so I thought the show was going to be somewhat lack luster but he completely destroyed his set. He walked on with a bottle yac and a bottle of vodka along with about 15 plastic cups. He handed the cups out to the front row and then filled their glass. Action then said "Start the motherfucking rap songs" and the DJ dropped the track. He lit his joint took a hit and proceeded to throw the J to the crowd; he did this about 5 times. When Barry Horiwitz came on he dropped the mic and went into the crowd like he was a pro wrestler. He made his way up to the top bar and showed everyone up there love before returning to his set. Bronson went into the crowd a couple more times during his set which really turnt up the show. Overall it was a dope show and it seemed like everyone had a great time! Beedie Open Video Shoot Tuesday May 22nd! 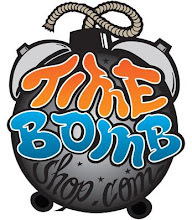 Time Bomb X One Up Softball!